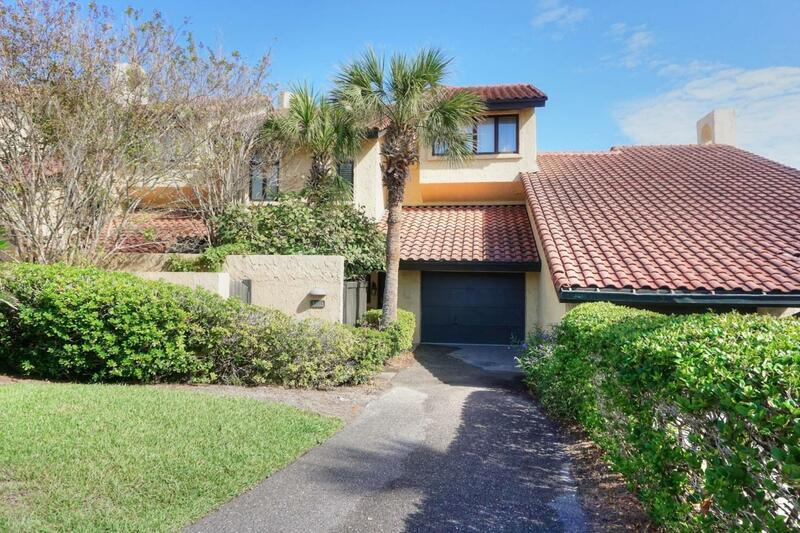 OCEANFRONT, Mediterranean-style townhome villa has an open green belt area that enhances the beautiful, panoramic ocean views. The 1st floor, also accessible from the garage, includes a tiled entry and two bedrooms/baths with patio access. The 2nd level offers a powder room and closet, the kitchen and a beautiful open living and dining area with magnificent views. A private balcony can be accessed from the dining area. The kitchen includes a pantry space and a pass-thru to the dining area providing ocean views. The 3rd level includes 2 bedrooms/baths and a bonus area. One bedroom offers balcony access and both have full baths. Tile floors in main living areas and carpet in the bedrooms.